Sarma is glad to announce its participation in Drafting Interior Techniques, an exhibition on dancer and choreographer Steve Paxton. 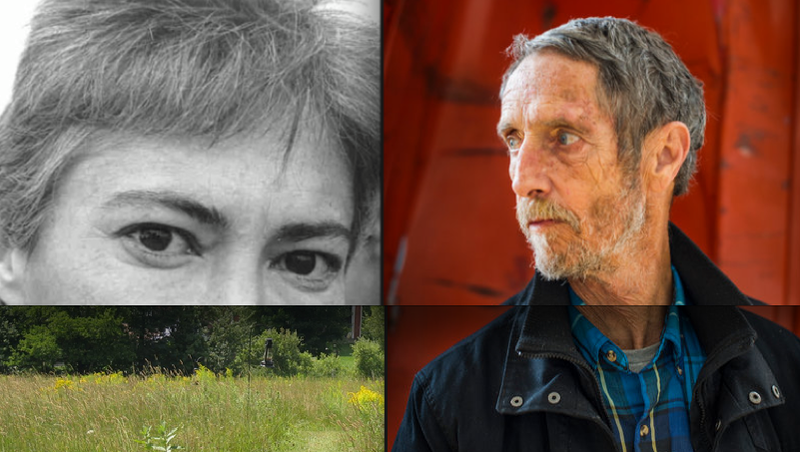 The exhibition will include a presentation of Sarma's digital publication 'Conversations in Vermont: Lisa Nelson' (2018) and a preview of 'Conversations in Vermont: Steve Paxton', which will be published by the end of 2019. The exhibition is curated by Romain Bigé and João Fiadeiro and will run between March 9 and July 14 at Culturgest (Lisbon, PT). Diglossia is a digital artist publication by visual artist Vincent Meessen. Pursuing a research initiated for the occupation of the Belgian Pavilion at the 56th Venice Biennial, Vincent Meessen’s work on Oral Site examines the transnational destiny of the official Belgian motto "Eendracht maakt macht/L'union fait la force", to eventually reveal its multiple, hybrid and popular variations. Upon discovering that its monolingual French version, “L’union fait la force” (Unity is strength), had been erased for political reasons from the frontispiece of the Belgian Pavilion in Venice, Meessen got interested in the existence of that very same motto on Haïti’s flag since its independence in 1804. In Haïti (Ayiti) and in the Carribean, he found many creolised versions that circulate in the popular ways of speaking: sayings and proverbs, most of them originating from Africa. 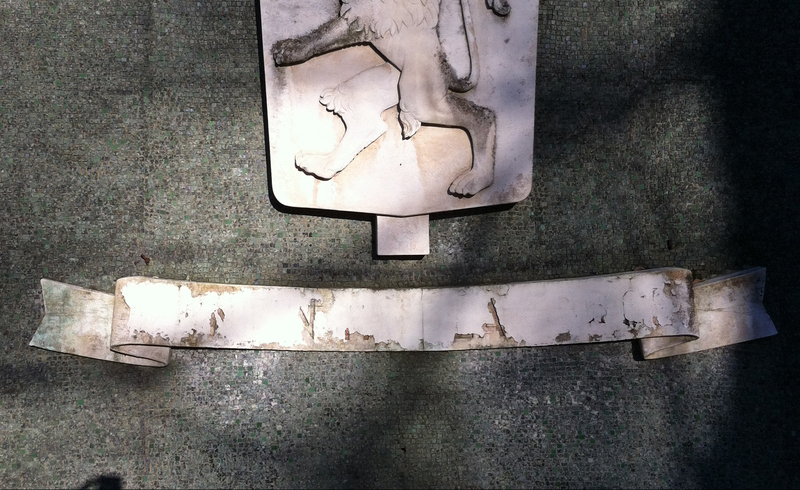 In the publication Diglossia, the bas-relief banner of the Pavilion is reproduced but the missing official motto is replaced by about fifteen creole variations, read aloud by a creole locator and translated in English, French and Dutch. Pointing at the power relations implied in and between different languages, it proposes a poetic meditation on the emergence of forms that are at once popular, plural, minor and remain resolutely opaque, even to the French speaker. Walk+Talk Documents is a digital artist publication by Philipp Gehmacher, Jeroen Peeters and Alexander Schellow. Since 2013, Sarma and Oral Site have been working on the documentation and the annotation of walk+talk, a lecture-performance format initiated by choreographer Philipp Gehmacher. After editions in Vienna (2008), Brussels (2011), Stockholm (2014), Reykjavik (2015) and Berlin (2016), the Poznan (2017) edition can now be found online as well. This last edition includes contributions by Maria Stoklosa, Frédéric Gies, Alice Chauchat and Anna Nowicka. Conversations in Vermont: Lisa Nelson is a digital artist publication and online research resource that highlights the work and life of dance and video artist Lisa Nelson. It revolves around many hours of audio-recorded interviews with Lisa Nelson, conducted by Myriam Van Imschoot between 2001 and now. On the occasion of Camping 2018, Centre National de la Danse (CN D Pantin) invited Tom Engels and Myriam Van Imschoot to set up a sound installation, which gives insight into the publication. The installation can be visited during Camping 2018 (18-29/06) between 12:30 and 19:00 at the Espace Archives at CN D. The program of Camping 2018 can be found here. Conversations in Vermont: Lisa Nelson is a digital artist publication and online research resource that highlights the work and life of dance and video artist Lisa Nelson. It revolves around many hours of audio-recorded interviews with Lisa Nelson, conducted by Myriam Van Imschoot between 2001 and now. Their conversations zoom in on crucial aspects of Lisa Nelson’s art making and teaching. Key notions such as ‘stillness’, ‘attention’, and ‘image’, give a specific insight into Lisa Nelson’s practice, but also into dance-making at large. Altogether this publication, made in collaboration with the artist, gives a rare overview of her prolific work and honors her finetuned ideas as they have been shaping the uncompromising potential of the senses for action and composition in and outside of the realm of dance. Its legacy is felt in the practices of many artists. To celebrate the launch of the publication, Sarma organizes an evening with contributions by Lisa Nelson, Jeroen Peeters, Myriam Van Imschoot and Tom Engels. The launch of the publication will take place at Kaaistudio's (Brussels), March 30 at 19:00. Tickets can be found here. Additionally, dance artist and pedagogue Anouk Llaurens hosts The Breathing Archive, a workshop in which she invites you to collectively edit a poetic and ephemeral document based on a selection of texts from Sarma’s anthology on Lisa Nelson as well as texts emanating from Llaurens’ research on poetic documentation. 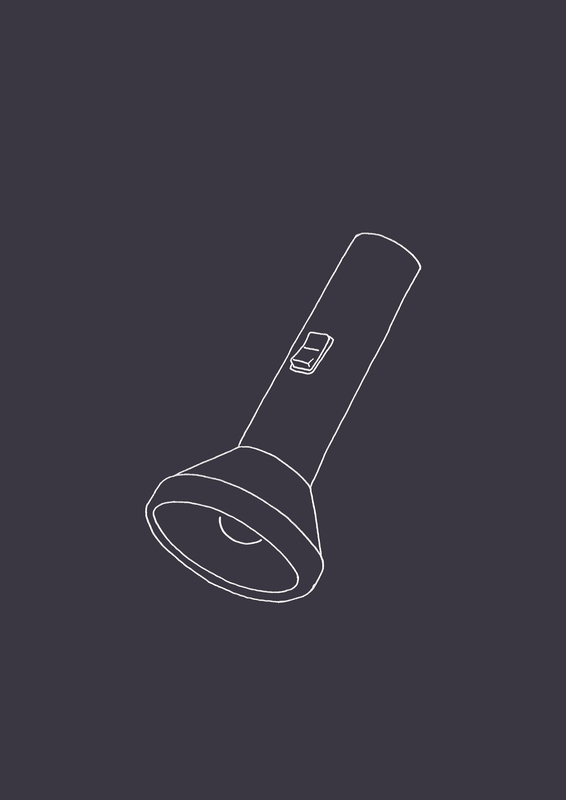 The workshop takes place at Kaaistudio's (Brussels), March 30 at 14:00. Tickets can be found here. Sarma is pleased to announce the release of Solidarity Poiesis: I Will Come and Steal You, a book edited by Robin Vanbesien. 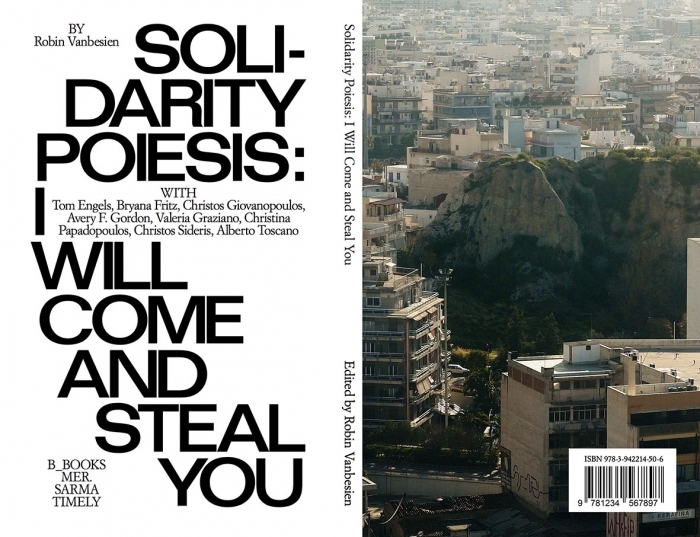 Taking its vantage point from the popular assemblies in Athens, Solidarity Poiesis: I Will Come and Steal You discusses the multifaceted ideas and prospects of this grassroots movement such as prefiguration, self-governance and abolition democracy. This publication was made possible by a research trajectory offered by Sarma and is co-published together with b_books, MER. Paper Kunsthalle and Timely. The book is available through b_books and MER. Paper Kunsthalle. Public presentations happen on November 16 at Netwerk Aalst (BE), December 10 at Extra City (Antwerp, BE) and February 7 at Vooruit (Ghent, BE). The book is edited by Robin Vanbesien and contains essays and interviews by and with Tom Engels, Bryana Fritz, Christos Giovanopoulos, Avery F. Gordon, Valeria Graziano, Christina Papadopoulos, Christos Sideris, Alberto Toscano and Robin Vanbesien. Sarma kindly invites you to the first section of another name, spoken, a series of performances curated by Tom Engels. another name, spoken unfolds a series of questions about name giving and taking. Utilizing the act of name giving and taking is a way to playfully both expand and dissolve the self. In this time where identity, the corporate, labeling, and branding flood our landscape, the procedure of naming is varied, omnipresent and strategic. Despite such saturation, it is urgent to insist on rethinking the procedures of name giving and taking so as to poetically dismantle and reconstruct them. The first section of the program will host Group Show by Galerie (Simon Asencio & Adriano Wilfert Jensen) and Eszter Salamon 1949 by Eszter Salamon. The development of this performance series is made possible by a research trajectory provided by Sarma. During the occupation of the Athens squares in 2011, a collective social and political experiment unfolded that laid the foundation for the rise of an unprecedented grassroots movement, organized around the principles of solidarity, direct democracy and equality. The experience of destitution and being attacked by the state paradoxically overlapped with the revelation that democratic self-organisation is not only possible, but that is also an intensely positive experience. While preparing a docu-fiction film with and alongside the grassroots solidarity movement in Athens (vision for a citizen, 2017), artist Robin Vanbesien invites Daniel Blanga-Gubbay and Ana Vujanovic to share their reflections on an 'imaginary of solidarity'. Blanga-Gubbay traces the production of vulnerability in the context of solidarity mechanisms in Europe, while Vujanović proposes the notion of the ‘transindividual’ as a possible horizon for performing the self. The evening opens with a screening of assembly for an Oresteia (2016), Vanbesien’s prelude to vision for a citizen, and will be concluded with an open discussion. November 16, 2016 at WIELS, Brussels, 7-9pm. This evening is part of Robin Vanbesien’s research trajectory supported by Sarma. 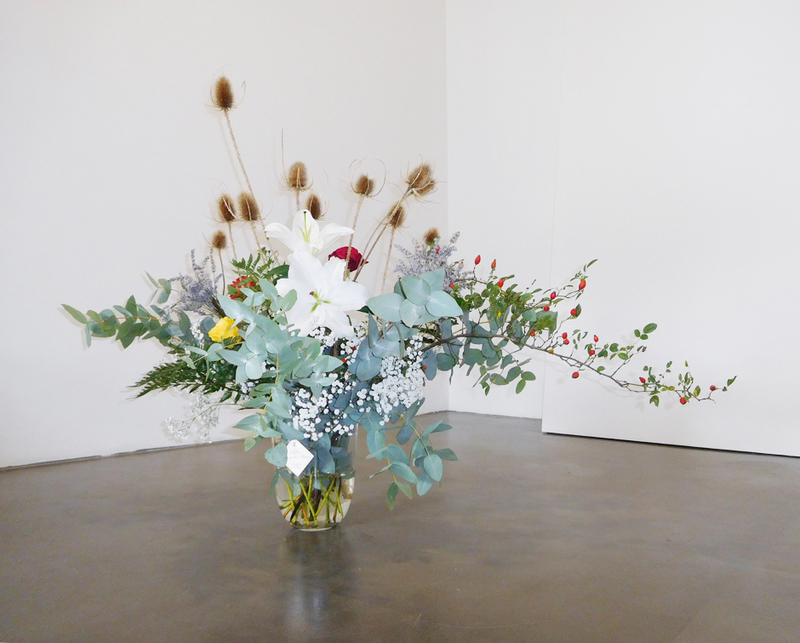 It is produced by Sarma and WIELS, with the support of workspacebrussels. Sarma proudly presents assembly for an Oresteia (2016) a new film by Belgian visual artist Robin Vanbesien. As a study for his next film vision for a citizen (2017), the film portrays a conversation between actors and protagonists of solidarity organisations in Athens. The conversation explores the ethics and the potential of self-organised democratic processes. Sarma supports the research trajectory of both films. The film was on display in the Foreign Places exhibition at WIELS (BE, Brussels), curated by Grégory Castéra and Caroline Dumalin, where it was joined by an installation of Vanbesien’s painting series project for an exhibition: citizen without qualities (2015-16). This Fall Sarma will host an evening with lectures and conversations to discuss the premisses of these works at WIELS. 21/09/2016 Athens Biennial, "OMONIA", Varvakios Square, 19:00. 17/11/2016 OFFoff Art Cinema, Ghent, 20:00. On the 28th of July 2016, Myriam Van Imschoot presented her upcoming interview publication Conversations in Vermont at Movement Research in New York City. The publication served as a springboard into a discussion about the interview as a tool to mine artistic thought, the legacies of Judson Dance Theater (also in respect to Neo-Judson) and the potential of dialogic formats for collaborative historical re/construction. This “listening” group constituted the first public moment to test out research and interview materials as part of an interview publication under construction. 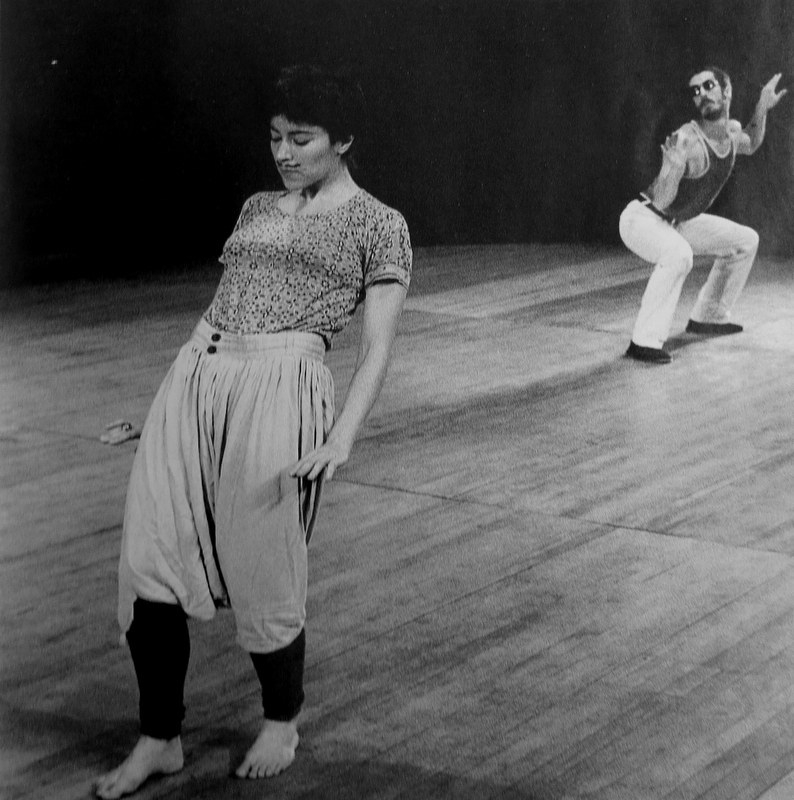 Van Imschoot has been editing a body of interviews with two prolific American artists whose careers often intertwined and have been influencing generations of dance makers across the globe: Lisa Nelson and Steve Paxton. These interviews grew, over the years, into a mind-affair unique of its kind, and however raw and open, are ready to meet a public's ear. 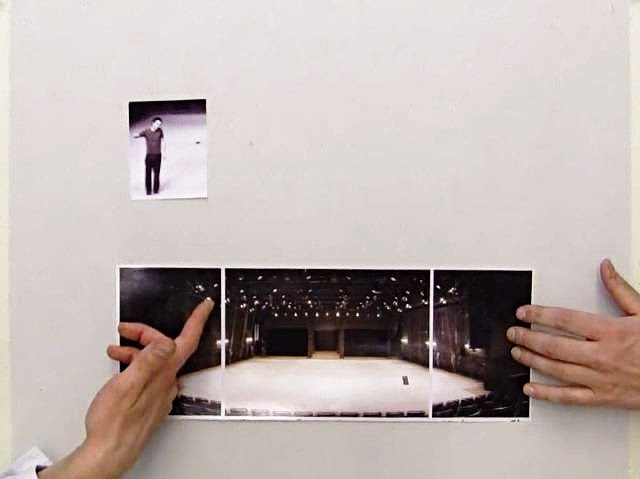 walk+talk documents is an ongoing multimodal publication around Philipp Gehmacher's walk+talk series, in which choreographers introduce their movement language in a lecture-demonstration. It includes annotated videos, multimodal essays on utterance and on space, and a text collection on practice. Now the latest performances in Berlin by Sebastian Matthias, Sidney Leoni, Maria F. Scaroni and Kát Valastur are available as annotated videos. During the course of the research cluster 'Time and Rhythm' at P.A.R.T.S. (Brussels), the artists, thinkers and theoreticians that were invited to teach in the program, will be given the opportunity to share their work publicly. Guests will include Goran Sergej Pristas, Diedrich Diederichsen, Daniela Bershan and Juan Dominguez. The research cluster and the public program were initiated and conceived by Bojana Cvejic and Tom Engels. 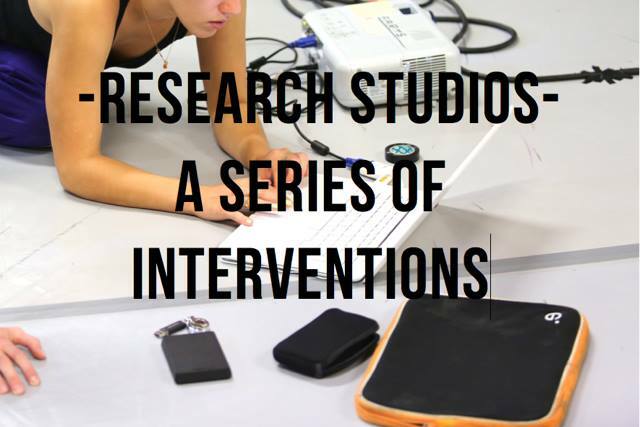 The documentation of the interventions can be found here. There is a distinctive kind of thought which arose within the practices of making, performing and attending dance in the last fifteen years. What if this thought had little to do with understanding and recognition, but with breaking the habits by which we join movement to human body, and perceive action in time? How can concepts express problems? In 'Choreographing Problems: Expressive Concepts in European Contemporary Dance and Performances' (Palgrave 2015), Bojana Cvejic unravels another mode of creation in recent choreography and performance, which begins by posing problems after Gilles Deleuze and Spinoza. For the book launch (on April 13, 2016 at the Kaaistudio's in Brussels), Cvejic was joined by dramaturge Goran Sergej Pristas and choreographer Mette Ingvartsen. The conversation was moderated by Tom Engels. The documentation of the talk can be found here. Sarma Docs is a series of posters that announce, articulate and reflect upon Sarma’s online text collection. 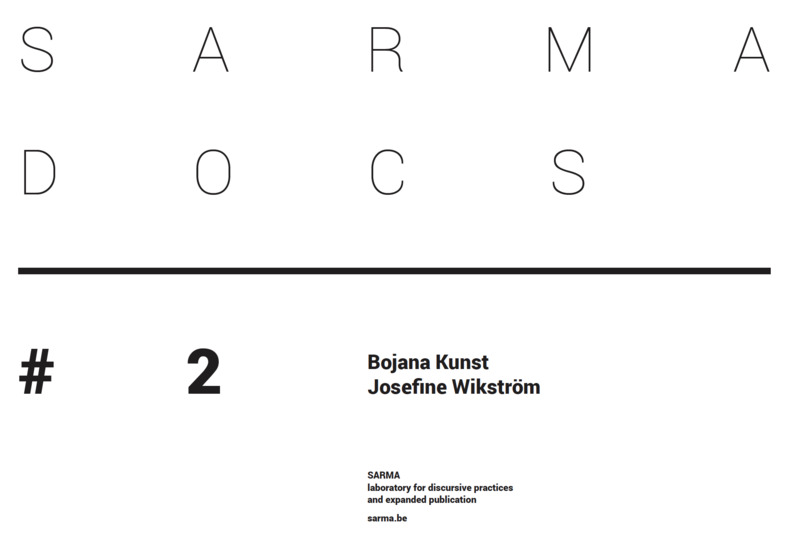 For this second edition, Sarma Docs publishes The Project at Work, a text by philosopher and performance theoretician Bojana Kunst. In March 2016, Sarma will launch a text collection of her most prominent works. In the Summer of 2015, Bojana Kunst released her latest book titled Artist at Work: Proximity of Art and Capitalism. Sarma asked performance scholar Josefine Wikström to write a critical analysis of Kunst’s elaboration on the ubiquitous relation between art and capitalism. On October 22, Oral Site releases Clanguage, a 15-page web-publication by Arf Arf, consisting of numerous sound poetry scores, near-lost recordings and new writing. On the occasion of this launch the post-Australian sound poetry group Arf Arf will be presenting new work in Europe. The group will explore the combined power of memory and voice to conjure geometric shapes that radiate inwardly and shrink outwardly. Disparities and slippages between ‘then’ and ‘now’, language and verbal noise, blind spots and myopic listening will be plundered, extemporized and recast. Volume SP is a new online series of compilations of speech-based audio-works and sound poetry on Oral Site. 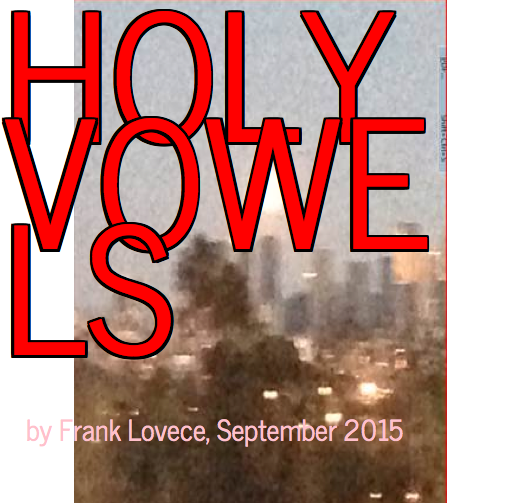 On October 24, the series kicks off with a ground-laying two hours volume, selected and audio-commented by Australian sound poet Frank Lovece. To celebrate the launch of the first Volume SP, Myriam Van Imschoot presents An Evening With: Frank Lovece, a programme of listening to sound poetry with Frank Lovece as the central guest and a couple of live interventions. The Flemish essayist and dramaturge Marianne Van Kerkhoven (1946-2013) was a highly influential figure in the field of performing arts in Europe during several decades. In collaboration with the Kaaitheater, Sarma sets up an archival and research project to disclose her legacy. Sarma anthologizes Van Kerkhoven’s early reflections on political theatre, her interviews and ‘dramaturgical’ essays for the performing arts journals Etcetera and Theaterschrift, artist portraits written for the Kaaitheater, dispersed writings, lectures and translations. I Paused Halfway Up The Stairs brings together artists and cultural workers that have been involved in the recent migration of choreography and performance from the theatre to the visual arts context. 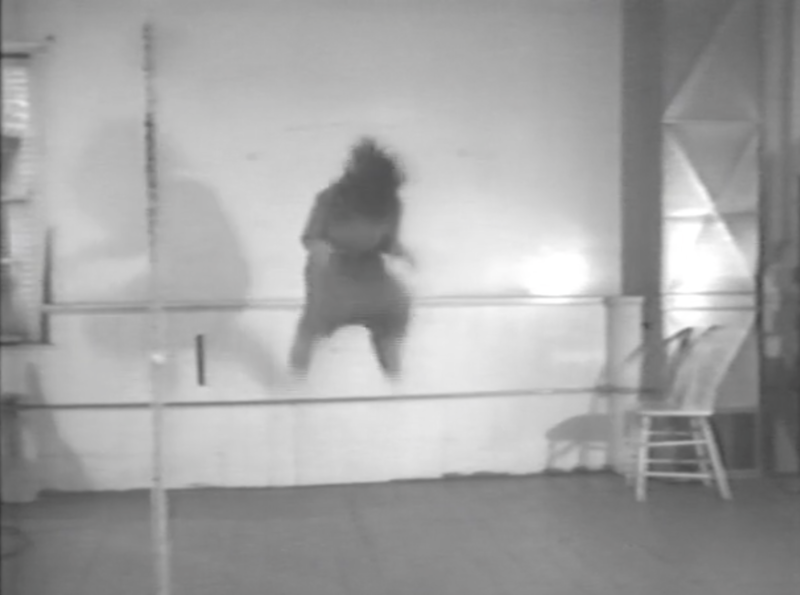 Over the course of two evenings, I Paused Halfway Up The Stairs will raise questions about how performance practices play with this institutional border, and how they appropriate, negotiate and challenge its aesthetics and production circumstances. I Paused Halfway Up The Stairs is a curatorial project by Tom Engels and contains works and words by Simon Asencio, Alexander Baczynski-Jenkins, Lina Hermsdorf, Clare Molloy, Thomas Puisquelaloi, Marta Ziólek, a.o. 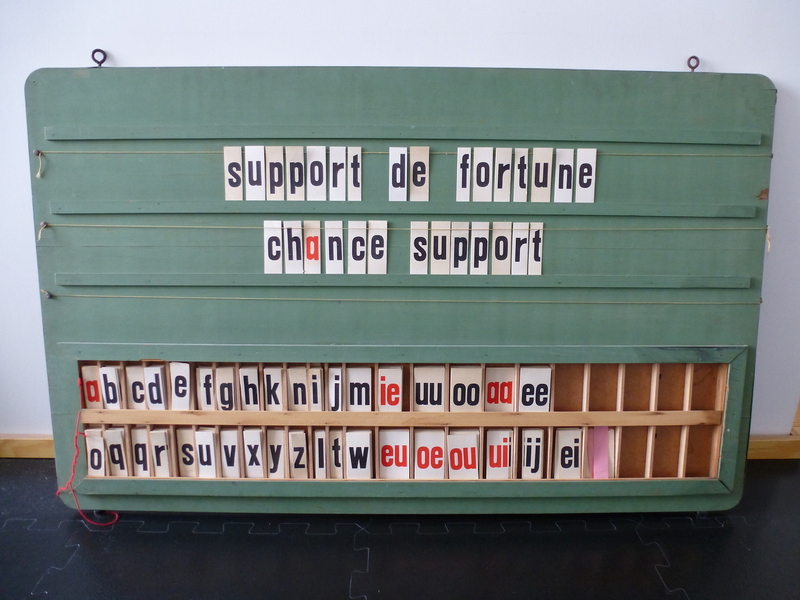 Kristien Van den Brande installs her research on Support de Fortune in the vitrine of Recyclart. 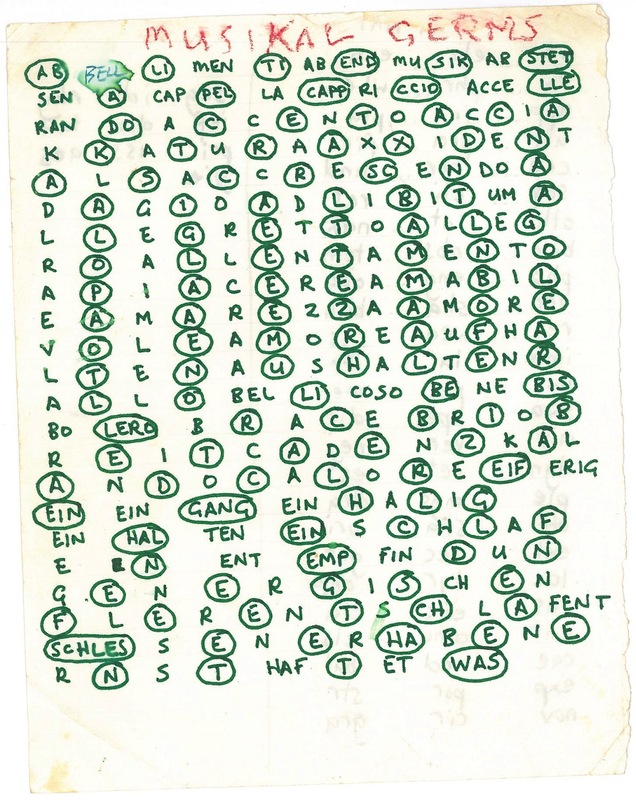 Inspired by Robert Walser, Emily Dickinson, Walter Benjamin, Martin Kippenberger, a.o. she collects and deciphers 'marginal' notes. She looks for conceptions and visualisations of the connection between tools, thinking and writing. This on the basis of a most paradoxical ‘tool’: the chance support as an old yet new medium that challenges deeply-rooted ideas and practices of writing and reading. Dramaturges and theoreticians Bojana Cvejic and Ana Vujanovic are Sarma´s writers in residence. Over the next three years they will engage in a research project titled Performance of the Self, which will lay out the link between solo performances and contemporary manifestations of individualism and unfold the performative relations between the configuration of masses and the cult of personality in the public sphere. This venture is a next step of their previous collaborative research project which resulted in the publication of the book Public Sphere by Performance (2012, b_books Berlin). In the frame of this residency, Sarma will host the launch of Bojana Cvejic´s upcoming book Choreographing Problems: Expressive Concepts in European Contemporary Dance and Performance in April 2016 at Kaaitheater (Brussels). The Dancer as Agent Collection is an unwrapping of The Dancer as Agent conference (DOCH Stockholm, November 2013). Several dancers who attended the conference accepted commissions from DOCH to draw, write and speak about ideas that had been present there and have continued roaming since, occupying other times and places. Various objects were made, including essays, conversations, maps, films, materials and active texts. Eight booklets, a card and a map appeared in print, and the complete collection is housed on Oral Site. It creates a context in which the contours of agency that emerge from dancers' artistic practices can be bounced off, wandered through, felt, fit and shared. The Dancer as Agent Collection was launched on Dec. 1st, 2014. Edited by Chrysa Parkinson with the assistance of Jeroen Peeters and Julien Bruneau. Produced by Sarma and DOCH, Stockholm University of the Arts. On Tuesday 2 December 2014, 6-8.30pm at 50°49’19.50’‘N 4°21’25.53’‘E, ERG´s gallery, Rue du Page/Edelknaapstraat 87, 1050 Brussels. Oral Site is an online platform for expanded publications. 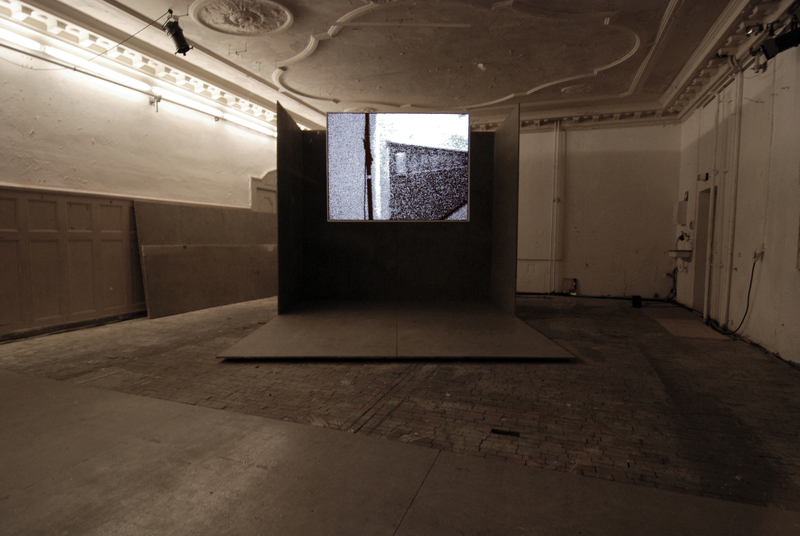 It proposes an experimental approach to the documentation, study, dissemination and creation of art works. During this evening organized by Sarma and hosted by Erg, the public got introduced to some art works as well as to the unique tool that enabled them. Alexandre Leray (OSP) and Kristien Van den Brande (Sarma) presented Olga, the new architecture behind the current updated version of Oral Site, choreographer and visual artist Julien Bruneau navigated through the intricate landscape of his publication Strata and artists Alexander Schellow and David Weber-Krebs gave during their performance a glimpse of their upcoming publication for Oral Site. The evening was framed by artist and founder of Oral Site, Myriam Van Imschoot. In his book Through the Back: Situating Vision between Moving Bodies (published in May 2014 by Theatre Academy in Helsinki), Jeroen Peeters reflects on spectatorship in contemporary dance. 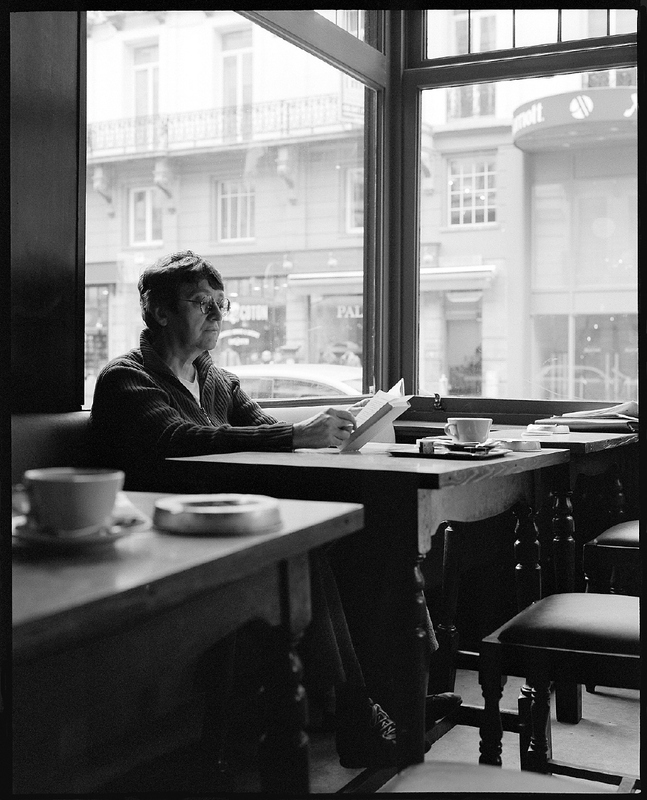 On February 20, 2015 at 18.30 at the Municipal Theatre Rivoli in Porto: Jeroen Peeters in dialogue with Alexandra Balona. On February 23, 2015 at 18.30 at Espaço da Penha in Lisbon: Jeroen Peeters presented his book with a lecture in the series My Dance History, an initiative of O Rumo do Fumo with Fórum Dança. Audio documentation of presentations at Kaaitheater in Brussels (with Gerald Siegmund and Chrysa Parkinson), at ImPulsTanz in Vienna (with Philipp Gehmacher and Jennifer Lacey), at Oktoberdans in Bergen (with André Eiermann and Mette Edvardsen), and at HZT/Tanzfabrik in Berlin (with Stefanie Wenner and Martin Nachbar) is available here. Through the Back can be purchased online via Sarma (Belgium), Books on the Move (Europe) and Contact Quarterly (USA). On the occasion of Through the Back, Sarma realized an online anthology of Jeroen Peeters’ critical writings on dance, including unpublished lectures, hard-to-find essays and many translations.